Research shows the so called Puritans of Massachusetts were actually Jews. These "puritans" set to work to exterminate the native Americans and blamed the Christians for it since that dark time in American history. Benjamin Franklin is also exposed as a Freemason, who most likely performed experiments on unsuspecting people. England's Oliver Cromwell is exposed, as well as the purpose of the Great Fire of London in 1666. 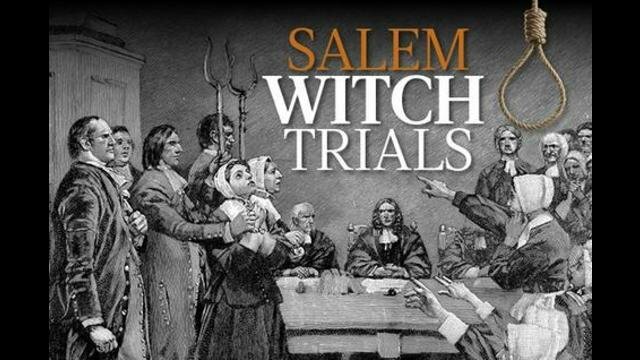 Jan is joined with special guest Holly Seeliger, as they expose one of history's greatest coverups: The Salem Witch Trials, in "Harvard's Darkest Secret: The Salem Witch Trials and Mass Hysteria". You won't want to miss this episode. Salem was the Jews, New Jerusalem. #1 Jan Irvin & Holly Seeliger: "Harvard's Darkest Secret: The Salem Witch Trials and Mass Hysteria"
Live on Tuesdays at 5pm Pacific time – UnSpun #106: Holly Seeliger returns for a research update on Salem as we expose one of history's greatest cover-ups: The Salem Witch Trials, in "Harvard's Darkest Secret: The Salem Witch Trials and Mass Hysteria, pt. 2". This is a Gnostic Media research exclusive.